Named in honour of the mythical Brazilian goddess of fire, the influence that São Paulo based Angra have had on the modern day technical power metal scene, cannot be overstated. They, along with such hallowed names as Stratovarius and the much missed Elegy, kept the flame alive when everyone and his mother was donning a checked shirt and jumping on the grunge bandwagon. Carefully nurturing the legacy bequeathed them by the likes of Helloween and Iron Maiden, Angra took things to the next logical level, a delicious infusion of progressive, classical and ethic Brazilian influences all serving to mould a sound that was uniquely identifiable to them alone. Since their blistering debut ‘Angels Cry’ first hit the streets back in ‘94, each new Angra release has been an event to look forward to, the original formula twisted and contorted into a myriad of different shapes as they strove to push the envelope. When original vocalist Andre Matos called it a day after third album ‘Fireworks’, many assumed Angra would fold, but damn me if they didn’t come back stronger than ever some three years later with the appropriately named ‘Rebirth’. New vocalist Edu Falaschi proved to be a match for his predecessor in every way, and with his charismatic vocals front and centre, Angra would go on to make some of the most beautifully complex and emotive music the technical/progressive power metal field had ever seen – the pinnacle perhaps being the sonically stunning ‘Aurora Consurgens’ at the tail end of 2006. That was nearly four years ago now, but after an extended break forced on them through a few legal issues, the band are back in the saddle with their latest slab of brooding melodrama ‘Aqua’. Nice to see drummer Ricardo Confessori returning to the fold after more than a decade in exile; his powerhouse style once again the engine room at the very heart of the band. Although not quite the grand conceptual piece it’s predecessor was, the aptly named ‘Aqua’ draws many parallels with Shakespeare’s literary masterpiece ‘The Tempest’, the ideas of cleansing and renewal being at the heart of many of the songs. Stylishly pulling together many elements from their past works (as well as introducing a few new ones along the way) ‘Aqua’ is an ambitious, oft pompous affair filled with bombastic melodrama and diffuse light and shade. One minute the band are peeling off some of their trademark power metal riffs, the next you’re transported to their homeland of centuries ago by intoxicating tribal rhythms and lilting mood swings. Falaschi is once again impeccable, but credit this time has to go to longstanding guitarists Kiko Loureiro and Rafael Bittencourt, the constant cut and thrust of their arrangements keeping anticipation levels at max all the way through. Like most of their recent output, ‘Aqua’ isn’t a straightforward release, true appreciation of its inner beauty only really achieved with a bit of effort on the part of the listener. Once you start to familiarise yourself though, tracks like ‘The Rage Of The Waters’, ‘Awake From The Darkness’, ‘Spirit Of The Air’ (which for some reason really reminds me of Dream Theater’s ‘Under Peruvian Skies’), ‘Arising Thunder’ and ‘Weakness Of A Man’ will keep you coming back time and again. 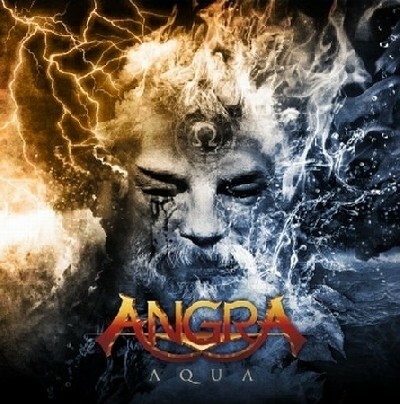 Angra don’t make bad albums, and longstanding fans will no doubt be pleased to hear that ‘Aqua’ once again enriches their ever more distinguished legacy ... welcome back guys!